"Those Germans, such as Count Claus von Stauffenberg, who fought the Third Reich from within have been mythologised as heroes in the fight against tyranny, but the truth is far more complex. Resistance to Hitler is a central and much debated topic of the history of Nazism. In this seminal study, the renowned contemporary historian Hans Mommsen reveals the diversity of the political aims held by these 'other Germans'. He analyses the ideologies of the assassination plot of July 20th, 1944, as well as those of the Kreisau Circle and the conservative, socialist, church and military oppositions. These resistance groups all endeavoured to find a viable alternative to Hitler and to achieve a moral renewal of politics and society. Yet many of them rejected democracy and had a sometimes ambivalent attitude towards the persecution of the Jews. Rather than idealising the German resistance to Hitler, Hans Mommsen interprets it as a political movement dependent on the conditions of its time. ALTERNATIVES TO HITLER is set to become the definitive work on its subject, of vital importance for scholars and students and all those interested in the history of World War II. Sara GrossmanWeil was deported from Lodz ghetto to Auschwitz in August 1944. As she entered the camp, she "saw columns of women, half naked, shaven heads, stretching out their arms. 'Food. food. Give me your bread!' Screaming, shouting. I was overwhelmed. I thought that I found myself in an asylum. in a madhouse. in a place with only crazy people" This was the place she had heard about. in whispers and with dread. "They always called it Auschwitz, but we didn't know what it meant". The crushing number of murders—over 1,200,000 or them—the overwhelming scale of the crime, and the vast, abandoned site of ruined chimneys and rusting barbed wire isolate Auschwitz from us. We think of it as a concentration camp closed in on itself, separated from the rest of the world by night and fog. In the 1940s. however, this epicenter of the Holocaust was located at the edge of a town that had become the focus of a Germanization program that included ruthless ethnic cleansing, massive industrial investment, and comprehensive urban construction. Auschwitz. 1270 to the Present elucidates how the prewar ordinary town of Auschwitz became Germany's most lethal killing site step by step and in stages: a transformation wrought by human beings. mostly German and mostly male. Who were the men who conceived, created, and constructed the killing facility? What were they thinking as they inched their way to iniquity? Using the hundreds of architectural plans for the camp that the Germans. in their haste, forgot to destroy. as well as blueprints and papers in municipal, provincial, and federal archives. Deborah Dwork and Robert Jan van Pelt show that the town of Auschwitz and the camp of that name were the centerpiece of Himmler's ambitious project to recover the German legacy of the Teutonic Knights and Frederick the Great in Naziruled Poland. Analyzing the close ties between the 700year history of the town and the fiveyear evolution of the concentration camp in its suburbs, van Pelt and Dwork offer an absolutely new and compelling interpretation of the origins and development of the death camp at Auschwitz. And drawing on oral histories of survivors, memoirs, depositions, and diaries, the authors explore the ever more murderous impact of these changes on the inmates daily lives. 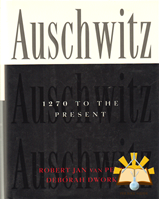 A work of impeccable scholarship and sensitive narration, Auschwitz, 1270 to the Present is the definitive history of the site that has come to epitomize evil. Battle for Korea is a vivid historical and photographic retrospective of one of the most controversial and hard-fought military actions in U.S. history, the Korean War. Though called a "police action," some 2,000,000 lives were lost in the conflict, including those of 33,000 Ameri-cans. The writers and photographers of The Associated Press were on the front lines during the war's most grueling battles to report the fighting. From the desperate defense of the Pusan Perimeter, to the bril-liant landing at Inchon, to the hard fought retreat from the Chosin Reservoir, these are stories that need to be told. A complete survey of the war's events, this book includes de-scriptions of the strategies of the generals as well as poignant sto-ries of the private struggles of soldiers in the field. The narrative is generously illustrated with pictures by AP photographers who followed the soldiers into combat, behind the lines and on the march. Important topics re-ceive special attention in captivat-ing sidebars: General William Dean's survival during his brutal captivity; desegregation of the armed forces; and the prolonged efforts to build a memorial to Korean War veterans. Detailed maps convey the ebb and flow of communist and U.N. offensives. Battle for Korea examines the entire conflict in its many aspects and its lasting repercussions. 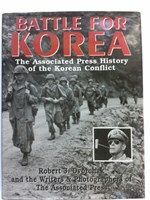 This book is a testament to the men and women who served with valor and those who gave their lives in Korea. Lieneke van der Hoeden is zes jaar als in Nederland de Tweede Wereldoorlog uitbreekt. Om te overleven moest dit joodse meisje onderduiken - alleen, zonder haar familie - en een nieuwe identiteit aannemen. Om zijn kleine Lieneke gerust te stellen stuurde haar vader haar lange brieven waarin hij schreef over zijn dagelijkse leven en hij maakte daarbij prachtige illustraties. Deze brieven hadden vernietigd moeten worden, maar zijn wonder boven wonder bewaard gebleven. Lienekes verhaal is waargebeurd, haar schriftjes hebben bestaan en de originelen worden bewaard in het Yad LaYeled Children's Museum in Israël. Crossing Hitler is a biography of the German trial lawyer Hans Litten (1903-1938), who dedicated his brief career to an uncompromising struggle against Adolf Hitler and the Nazi Party, and suffered accordingly in Hitler's concentration camps. Through the prism of this one remarkable advocate, the book explores the rise of the Nazis, the vibrant criminal courts of the Weimar Republic, and the terror of Nazi rule in Germany after 1933. During the trial of four Nazi paratroopers in 1931, Litten grilled Hitler in a merciless three-hour examination, forcing Hitler into multiple contradictions and evasions and finally reducing him to helpless and humiliating rage. Two years later Hitler was in power, and Litten was sent to the concentration camps of the Third Reich, where he worked on translations of medieval German poetry and operated as a one-man university. After five years of torture and hard labor, Litten gave up hope of survival, and took his own life 1938. Duncan Anderson is Senior Lector aan de Royal Military Academy te Sandhurst, Engeland. In dit boek schenkt hij aandacht aan het feit dat het inmiddels 50 jaar geleden is dat de grootste militaire operatie uit de geschiedenis, de geallieerde invasie in Normandië op 6 juni 1944, werd uitgevoerd. Hij beschrijft achtereenvolgens de opbouw van de verdedigingswerken aan de Franse kust door de Duitsers, de rol van het verzet in Frankrijk, de geallieerde planning en voorbereidingen op de invasie, de oefeningen in Engeland, de landing in Normandië en de daarop volgende hevige gevechten in noordwest-Frankrijk. In het laatste hoofdstuk wordt kort stil gestaan bij de Nederlandse bijdrage aan D-Day. Hoge Duitse officieren behoren tot de eersten die inzien dat Adolf Hitler de ondergang van Duitsland betekent. Alleen een staatsgreep kan het onheil afwenden. Hitler moet in een geprovoceerd vuurgevecht worden gedood. In september 1938 staat een zwaar bewapend overvalcommando klaar om de Rijkskanselarij in Berlijn te bestormen. De grote organisator is majoor Hans Oster, de tweede man bij de Abwehr, de contraspionage. Ook na het mislukken van deze eerste staatsgreep gaat Hans Oster fanatiek door met het verzet tegen Hitler. Via zijn beste vriend, de Nederlandse majoor Bert Sas, wil hij de wereld waarschuwen voor een komende wereldoorlog. Sas is in 1936 en daarna in 1939 militair attaché in Berlijn. Hij hoort van Hans Oster alles over Hitlers aanvalsplannen, maar ook over nieuwe plannen voor een staatsgreep. Hij wordt zelfs uitgenodigd om actief mee te doen. Telkens weer krijgt Sas de datum doorgespeeld waarop Hitler het Westen zal aanvallen. Maar doordat de aanval steeds wordt uitgesteld, wordt Bert Sas gezien als een paniekschopper en in Den Haag niet meer geloofd. Hij is de wanhoop nabij wanneer hij zijn laatste waarschuwing doorgeeft op 9 mei 1940. Na de bezetting van Nederland begint de Gestapo direct met het zoeken naar de ëverraders´, hetgeen er uiteindelijk toe leidt dat Hans Oster door de nazi´s wordt vermoord. Bert Sas zal later schrijven: ëHans Oster was mijn beste, ik mag zeggen enige ware vriend´. Vanuit haar hoofdkwartier in de Prinz Albrecht Strasse voerde de Gestapo, de geheime dienst van het Derde Rijk, jarenlang een meedogenloos bewind van terreur en geweld, waarvan honderdduizenden onschuldige burgers, joden en verzetsleden het slachtoffer werden. Onder de ijzeren leiding van Heinrich Himmler groeide deze organisatie, die instond voor de interne veiligheid en de uitroeiing van ieder verzet, tot een van de belangrijkste pijlers van de nazi-maatschappij uit.